Basketball is the most beautiful game. 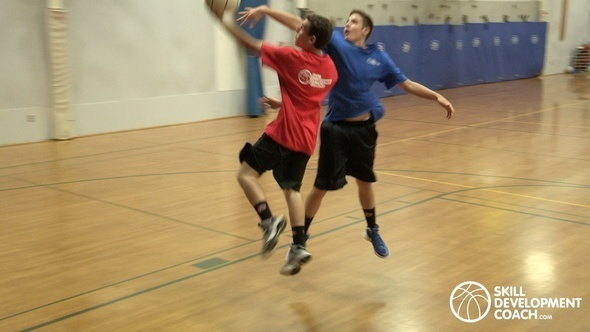 Athleticism, skill, and decision making are just a few of the many attributes to the game that make it so alluring. Another aspect of the game of basketball that makes it so unique and exciting is that there are numerous opportunities nearly every possession to make a play. Making the right play over the course of the game determines how good of a player that you are. There are many nuances to the game. Sometimes, the right play to make may be set a screen. Sometimes, the right play to make may be to get out of the way. Sometimes, the right play may be to shoot. Sometimes, it may be to pass. Ultimately, the more confident that you are in making plays with the ball, the more versatile you will be as a player. And more you will become a playmaker. That is why it is important to get started with understanding how to implement new skills when you play. Position specific and skill specific. Skill by skill. Week by week. The entire player development system is progression and assessment based, so players learn all of the techniques and follow the progressions as they go. The player development system shows players exactly how to learn and use these skills in a correct order. The player development system is engaging, measurable, and clear. Weekly player development plans help players stay focused, consistent, and less overwhelmed. Players have a consistent routine of skill progressions, techniques and challenges are all outlined for players. SDC is designed to help you learn how to become a playmaker.